DCM London Gazette 31 October 1902. MID London Gazette 29 July 1902. 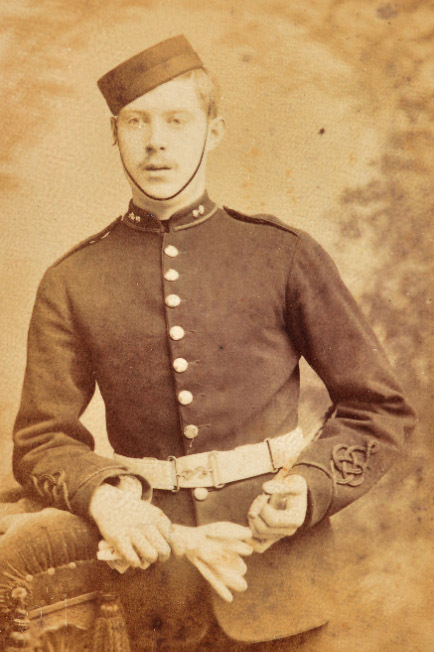 Thomas Boulton was born at Fairford, Gloucestershire, in 1872, and enlisted into the 1st Battalion, Devonshire Regiment, on 5 May 1889, having some prior service with 4th Gloucestershire Regiment Militia. 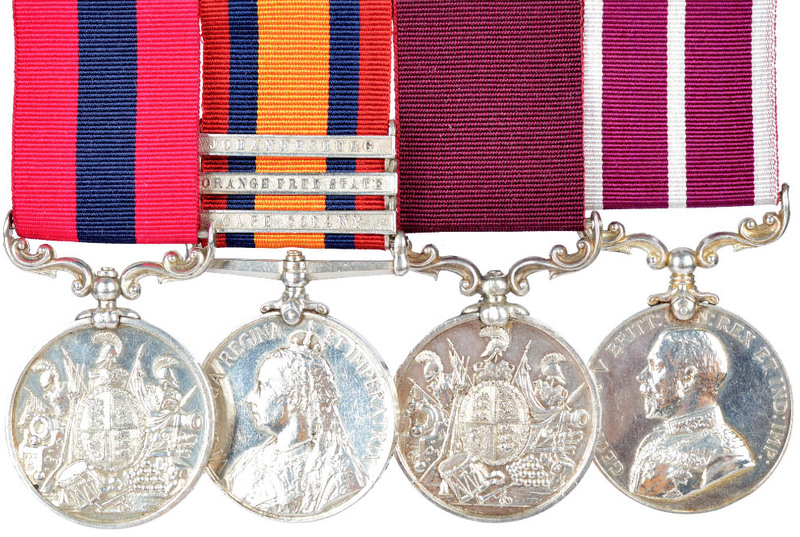 According to the Regimental Diary Boulton served with the Maxim Gun Detachment in South Africa and was presented with his Distinguished Conduct Medal on 9 May 1903, having returned from South Africa on 9 January. He was awarded his Long Service and Good Conduct Medal per Army Order 242 of 1907, and was discharged on 14 December 1910. He afterwards remained with the Regiment, working as a mess waiter. Last seen at the 2018 Brittania. Army MSM GV (B.S. MJR. T. DOLAN. D.C.M. R.A.). Born Kilkenny, Ireland, June 1859. Enlisted Portsmouth 31st January 1879. Served in India and South Africa. Discharged Athlone 19th March 1901 after 22 years service. Place of residence given as the Royal Hospital Kilmainham, Dublin. The battle of the Stormberg 9th and 10th September, was a British defeat that was partly redeemed by the efforts of the artillery (Dolan of 74th Battery among them) in covering the retreat of the infantry.